CGC was founded in 1992 as a management buy-out of the German PR-agency Leipziger & Partner and derives its name from its founder Hans-Joachim Cramer. The medical and sociopolitical journalist was managing director at CGC till 2004, when Dr. Klaus Schrage joined the management team. The PR activities involved dental scientists, representatives from health insurance associations and health education institutions and comprised TV, the print media and events. Attitude changes were measured by the GfK in four phases each year. At the end of the third year of the campaign, 85 per cent of dentists and 45 per cent of consumers recognised the message unaided and 95 per cent of both groups thought that it was credible. Wrigley’s Extra is launched. Situation: unrealistic fears of the side effects of cortisone are counteracted by its practical use in asthma and rheumatism. Physicians are afraid that patients will refuse therapy after reading the package insert - if not before. Implementation and successes: A continuing education package with a patient brochure and a physicians lecture are compiled in association with self-help organisations, and as a result are widely used by consumer organisations. An extensive information campaign in the trade and lay press is conducted simultaneously. Telephone campaigns with daily newspapers and popular magazines in particular are very well received by patients. An experienced physician runs his consultation hour once a week in the newly built Cortisone Information Centre (CIC), which is also used by office-based general practitioners to clarify therapeutic problems in specific cases. Sales of Merck’s range of corticoids soar. Promotion of in-vitro fertilisation (IVF) and guarantee of reimbursement: Around ten per cent of all married couples in Germany are unable to have children, whereas the causes are distributed equally between husband and wife. A 60 per cent pregnancy rate was achieved in the first IVF cycle. Given the high costs of approx. € 5,000 per cycle, the health insurance funds endeavoured to prevent reimbursement with the support of those gynaecologists who were not involved in IVF treatment (due to the high proportion of IVF in the total budget for gynecologists). The social acceptance of IVF was improved in background talks with health policy makers, mailings to the SHI and accompanying media work in the trade and lay press. At the same time Serono’s clients, the IVF gynecologists, received huge support for their work. Communication of the USP of Cialis®, PR - support as from the pre-marketing stage: The best launch in 2003 succeeded in a market that was initially monopolistic and became highly competitive after the entry of Cialis®. Through trade media work the target group is increasingly conveyed that patient satisfaction is exceptionally high as a result of the 36-hour action window and the compatibility with rich meals and with alcohol. Therapy aids for office-based physicians and an instruction for the list of individual health services were compiled by an interdisciplinary advisory board. Comprehensive written and audiovisual information material was developed simultaneously for the individuals affected and their partners. General and individual questions by the persons affected are answered at an information centre. Cialis® now is the market leader in the rapidly expanding market of PDE-5 inhibitors. 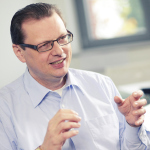 The medical and sociopolitical journalist Hans-Joachim Cramer was managing director at CGC till 2004, when Dr. Klaus Schrage joined the management team. Dr. Schrage had previously been marketing and sales director at a pharmaceutical company and was a very satisfied CGC customer. 2004 represented a break for many OTC drugs in Germany, because their reimbursement by health insurance companies was cut back almost entirely. In 2004, ANGOCIN Anti-Infekt N had already been on the market for almost 50 years. ANGOCIN has regulatory approval for two indications - that doesn’t necessarily make targeted communications easier. The result of the PR analysis: old OTC, with apparently unspectacular ingredients, clearly outplayed in its advertising appeal by seemingly omnipotent competitors in the cold remedy market alone. But there was a glimmer of hope: The product works. And this fact was supported by several recent studies. In a classical antibiogram, Angocin’s ingredients, isothiocyants, proved their effectiveness. AND this effect was corroborated in current studies with patients. But CGC with its scientific-medical background recognized these facts very quickly – enthusiastically – and rigorously translated them into messages for the relevant target groups. Today ANGOCIN is seen as a benchmark case study in the phyto-OTC-market, because it is successful against the market trend. This is based on a clear focus on PR as the number one communications tool. An essential component of this success is that Repha and CGC put enormous trust in one another and share tasks. It is precisely this long-term PR approach that has enabled ANGOCIN to show above average sustainable growth since 2005. In 2005, PAH was an unknown indication, even within the groups of medical specialists confronted with the disease. In 2002, Actelion introduced a new class of substance - an oral dual endothelin receptor antagonist - that substantially improved the prognosis for patients affected by the disease. The quality of Actelion’s endothelin receptor antagonist was and is supported by Actelion with the help of clinical trials whose design and implementation has benchmark character. This clinical quality can also be found in open access medical education on a high-quality level (offline and online, see my-cme.de). Today PAH is no longer “rare” in the medical press, but is a, or perhaps “THE” standard orphan disease. But thanks to these activities, the lay press has also become aware of the topic “pulmonary hypertension”. There have been numerous reports describing the rare disease PAH - which is treatable today, even if it can’t be healed. By now there are several competitors on the market, but this hasn’t impacted Actelion’s market leadership. It’s precisely this stiff competition surrounding the best-validated PAH treatment which continues to give CGC a solid foundation on which to base their PR activities for Actelion. The molecular biologist Dr. Schrage has been sole managing partner at CGC since 2008. 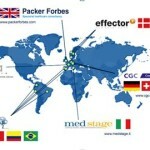 With the EHEC-crisis during the summer of 2011 the company that had thus far only been known to specialized medical doctors took center stage in the German media. 4,000 people, most of them in northern Germany, contract an EHEC infection, 400 of these patients develop the life-threatening hemolytic-uremic syndrome (HUS). Because of a case study in the New England Journal of Medicine, Soliris is used off-label in this crisis situation. In this situation, Alexion USA decides to deliver Soliris free of charge to the hospitals requesting it. CGC is responsible for fielding enquiries from the media that suddenly assail the American ultra orphan drug research company. Together with the client, CGC develops a communications strategy and advises Alexion USA on how to interact with the German press. CGC helps organize interviews with selected titles (FAZ, FTD, Spiegel) and puts together FAQs to make sure the media is supplied with correct information. The agency evaluates the press coverage, makes summaries for the US company managers and gives the press background information on ultra orphan disease research. CGC is a partner of a newly established pan-European network of experienced, independent, specialist healthcare communications agencies. We offer an integrated global and local approach that combines our joint expertise of country-specific healthcare markets with a hard-to-find passion to deliver top-quality communications that make a genuine difference for our clients.